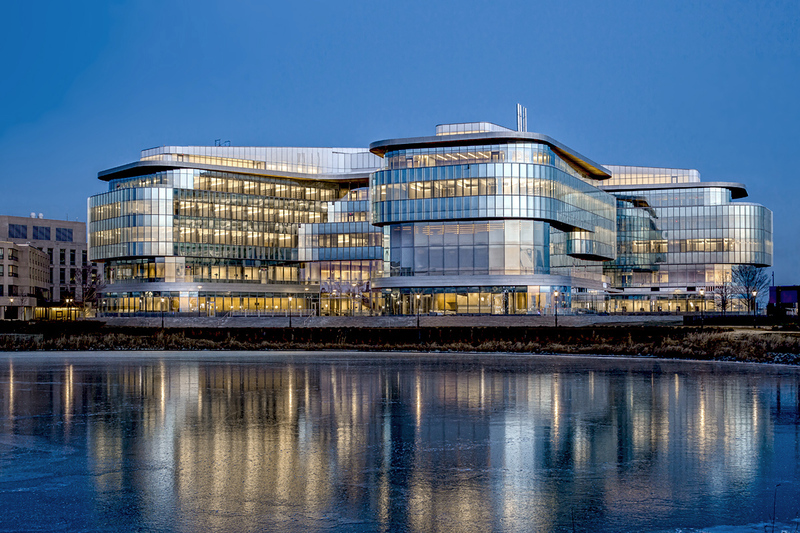 Mike has been selected to photograph the Kellogg School of Management's new Global Hub Building on the Northwestern University campus. This was a very large project including over 130 images of this modern design. 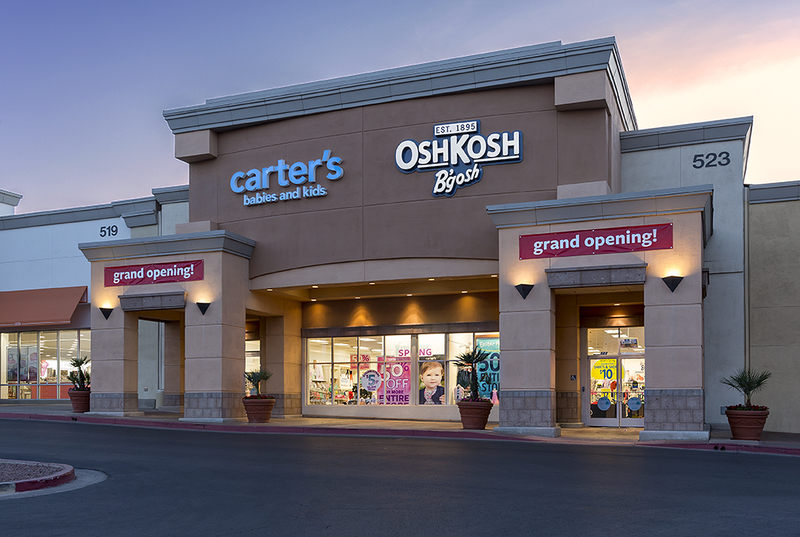 I want to thank my client The William Carter's Company for the opportunity to photograph their new stores in Miami, Beach, Fla., Newnan, Georgia, Cedar Falls, Iowa, Henderson, Nevada, and their showroom in New York City, Beautiful stores and wonderful people. Chicago, IL. January 12, 2016 – Mike Crews Photography of Chicago has won “Best Of Customer Service” on Houzz®, the leading platform for home remodeling and design. The fifteen-year company specializing in architecture, interior design, and commercial landscape photography was chosen by the more than 35 million monthly unique users that comprise the Houzz community from among more than one million active home building, remodeling and design industry professionals. Design award winners’ work was the most popular among the more than 35 million monthly users on Houzz. Customer Service honors are based on several factors, including the number and quality of client reviews a professional received in 2015. A “Best Of Houzz 2016” badge will appear on winners’ profiles, as a sign of their commitment to excellence. These badges help homeowners identify popular and top-rated home professionals in every metro area on Houzz. “I really appreciate Houzz.com providing photographers and other service providers such a professional platform to work within the design community here in Chicago and across the country.”- Mike Crews, Owner/Photographer, Mike Crews Photography. For the past 15 years Mike Crews has specialized in creating beautiful imagery of architecture, interiors, and professional landscaping. His award winning images are a combination of artistic vision, technical skill, and lighting techniques. Mike utilizes 25 years of project management and the latest technologies to provide his clients a great collaborative experience and superior imagery. Mike received his photographic education at the prestigious Brooks Institute of Photography in Santa Barbara, CA. Since 2001he has photographed for architects, interior designers, landscaping designers, pool designers, golf courses, retailers, restaurants, engineering firms and, home designers. An interesting project to close out 2015 involved capturing a large glass terrarium designed by Sentech Architectural Systems in Austin, Texas. 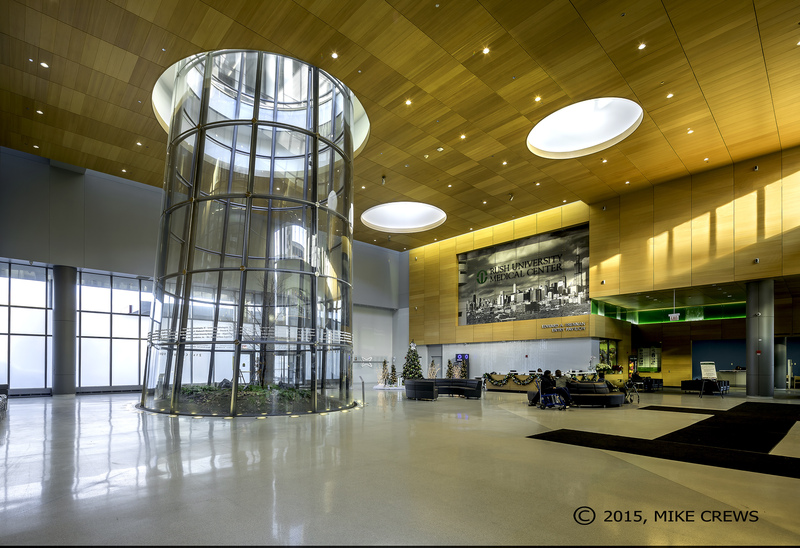 The terrarium was designed for the Rush University Medical Brennan Entry Pavillion and consists of a conical shaped glass portal reaching from the inside floor (1 and 2) and extends beyond the ceiling into an outside courtyard area (3). The concept was to allow the outside light to flow into an enclosed area within the Pavillion. The bottom of the terrarium features a plant environment similar to a forest setting where outside light illuminates the forest floor albeit in a limited amount. Accordingly, the plant life selected for the terrarium’s floor is similar to that found in a typical forest environment, trees, moss, ferns,, etc. I was asked to capture the integration of the terrarium concept with the medical environment and how it interacts with both the interior and exterior spaces of the Pavillion. There are obvious issues to overcome when photographing within a very busy medical facility. 1. Obtaining clearance for photography from administrative and security personnel. 2. Gaining access to areas not normally allowed to the public. 3. Capturing usable images around the constant flow of patients, visitors, and medical staff. The most challenging shots for this project involved capturing the inside and outside light in one image (4) . Had I attempted to try this at noon, there might have been up to 10 stops of light difference in brightness between the sunny outside and the light levels found inside. This would have rendered either the outside being blown-out or the inside as too dark. I chose to capture this shot near sundown to allow a smaller four stop difference of brightness at that time. The difference in light color temperature between the outside 5000K and the inside’s 2800K is clearly visible. Still, I think the shot works for contrasting the outside and indoor environments. After 10 years of faithful service, my reliable, go-to camera the Canon 1Ds Mark III has been put to rest and relegated to a backup role. I’m very happy to announce the purchase of a Canon 5D Mark III. Although, there are more recent, pixel stuffed-sensors available, I elected to buy the 5D Mark III due to its outstanding track record for producing phenomenal images, increased dynamic range, and superior performance in low-light situations …which I am often presented with on my architectural projects. Along with the Mark III, I’m assisted by my new Camranger allowing me to work remotely from my Ipad. By generating its own Wi-Fi signal, the Camranger links to my 5D Mark III via a free downloaded app. 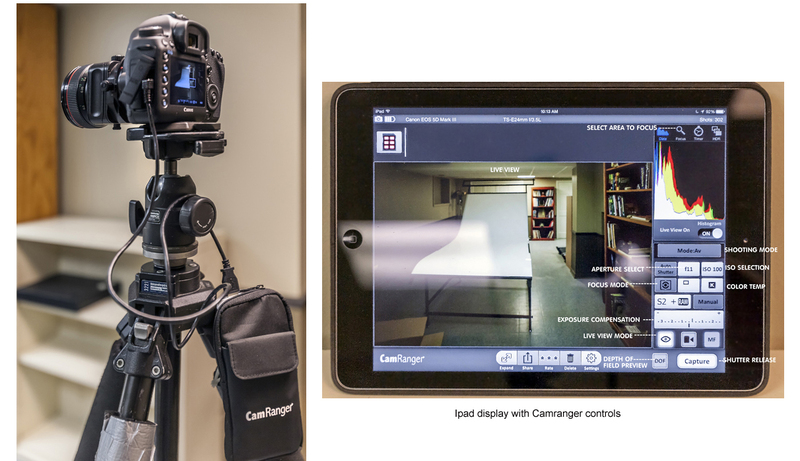 Camranger provides live viewing, selective focus (only on auto-focus lenses), and complete control of aperture settings, color temperature, exposure compensation, and shutter release. This wonderful combination will allow me to work with my clients in real time to view and adjust compositions with the live view function, in real time before the shutter is released. After capturing, the image can be downloaded from the camera to the Ipad for final viewing and approval before moving on to the next setup. Sweet. Next month I will be shooting the #2 rated golf course in Iowa over a three day period. I can’t tell you how useful all of this new technology will be in capturing the needed course shots. The Mark III and Camranger will sit atop my Manfrotto 24 foot tripod (affectionately named ‘Helga’) with a pan and tilt motor drive between the two. By utilizing the Live Cam feature on the Mark III, I can view the composition from my Ipad, tilt and turn the camera angles until the desired composition in achieved, select my focus point and depth of field, and release the shutter while sitting comfortably in the golf cart. 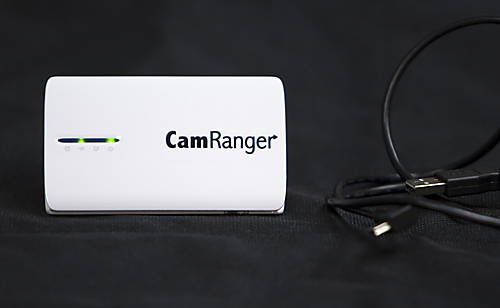 The Camranger Wi-Fi signal is effective up to 50 meters. Buying new technologies is an integral part of being successful in this highly competitive business. Photographers…..charge accordingly. On July 9, Mike was one of several Chicago photographers interviewed by WGN-TV. Mike was profiled as a notable architectural photographer and was asked why Chicago presents outstanding photographic opportunities. 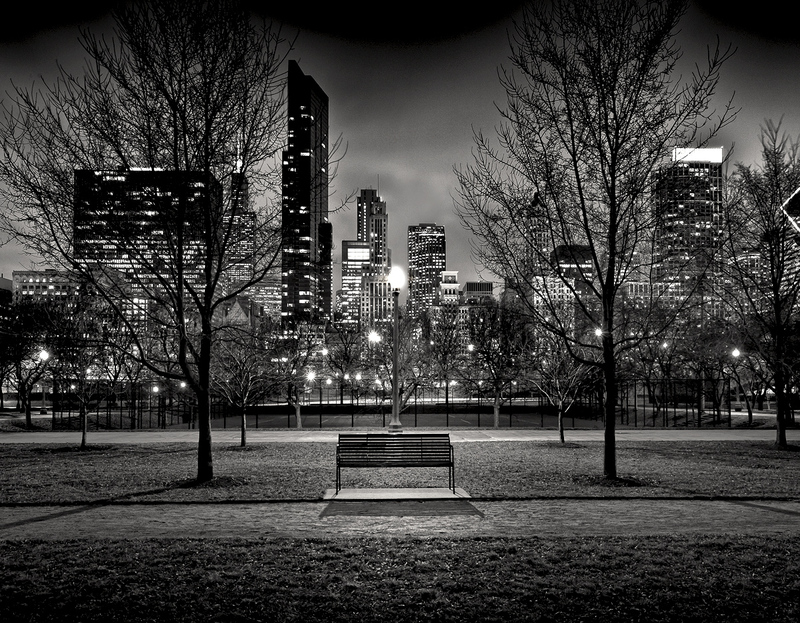 The photograph Urban Oasis (below) was discussed in detail with emphasis on what it means to Mike and how it represented Chicago. "To me, this photograph represents Chicago at its best. 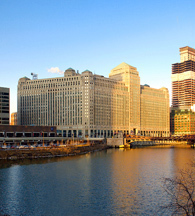 Among the noise, excitement, and the high energy so characteristic of Chicago, there are pockets of quiet and solitude to be found and enjoyed...a little something for everyone." More of Mike's fine art can be seen by clicking on the fine art gallery of this website. The awards international Jury included captains of the industry from The Royal Photographic Society, FoMu Fotomuseum, Aeroplastics Contemporary, Torch Gallery, Stockholm City Museum to Fratelli Alinari in Florence who honored Spider Fellows with 298 coveted title awards and 957 nominees in 14 categories. "It is an incredible achievement to be selected among the best from the 8,508 entries from 73 countries that we received this year," said Basil O'Brien, the awards Creative Director. 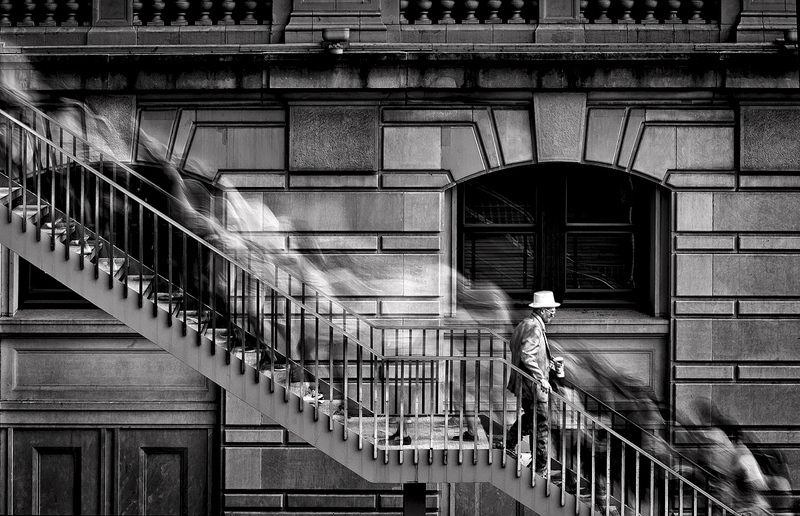 "Mike Crews' "Steppin Out of Time" an exceptional image entered in the Abstract category, represents black and white photography at its finest, and we're pleased to present Mike with the title of Honorable Mention."